Hey Friends! Today I’m over on the Silhouette blog sharing a little tutorial how to get watercoloring using your Silhouette Curio. You’re going to love this little hack, you’ll feel like a professional with a paintbrush in no time! Plus I’m also taking over the Silhouette America Instagram feed, I’ll have lots of fun stuff to share, I’ll even be doing a giveaway at the end of the day so be sure to follow both accounts (@silhouetteamerica and me @vfynes) to get in on the fun! We’ve been seeing loads of deer everything for the last year, but mostly with antlers. I wanted to create something a little more whimsical. 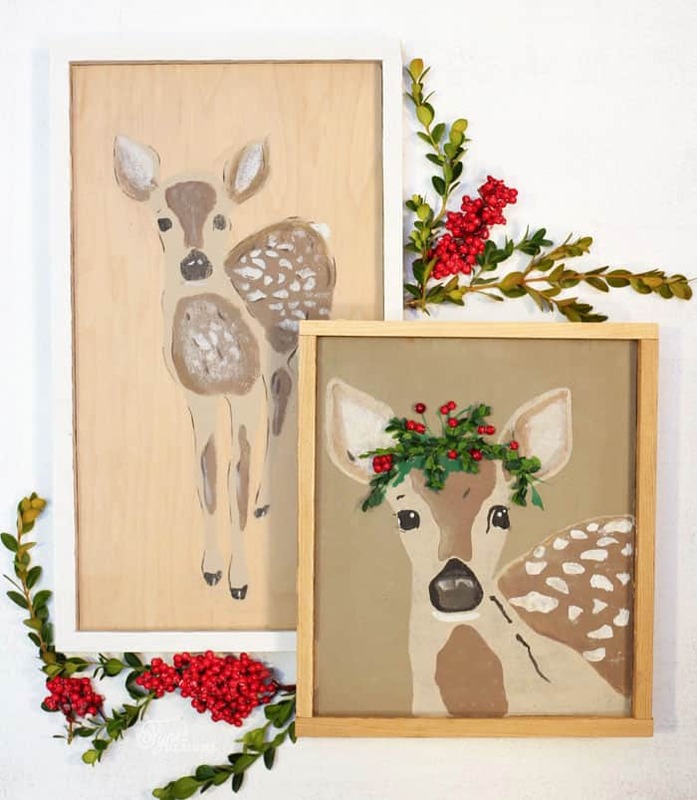 After seeing a cute fabric with a little fawn, I knew I had to make Silhouette cut file so I could paint one myself. I intended on just painting a holly crown, but when I found some faux berries and boxwood in my stash, I knew a 3D crown would make it extra special! 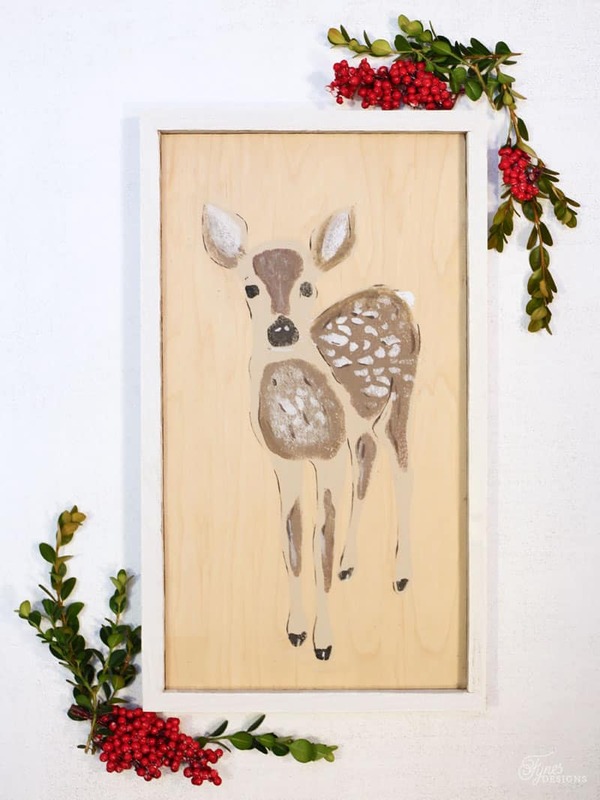 I chose to use this cut file to paint little deer, but I’ve also included coloured images so you can print and cut. Wouldn’t they make sweet gift tags? 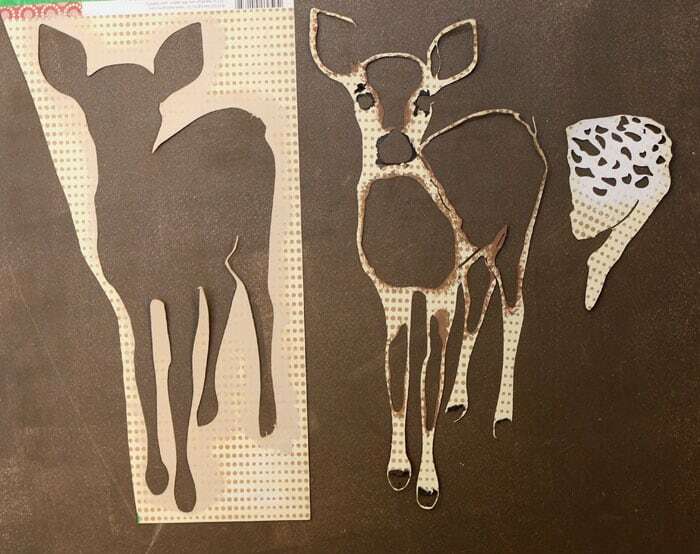 To use this cut file to paint a fawn, you’ll paint it in 3 steps. Paint the outline in a lighter shade, allow to dry, then place the overlay on top and stencil in the darker pieces, then finally stencil on the spots. I chose to lightly sand my image after each coat of paint. Then add in a few details, like the white dots in the eyes, and a faint outline (painting on natural wood wasn’t the best idea). 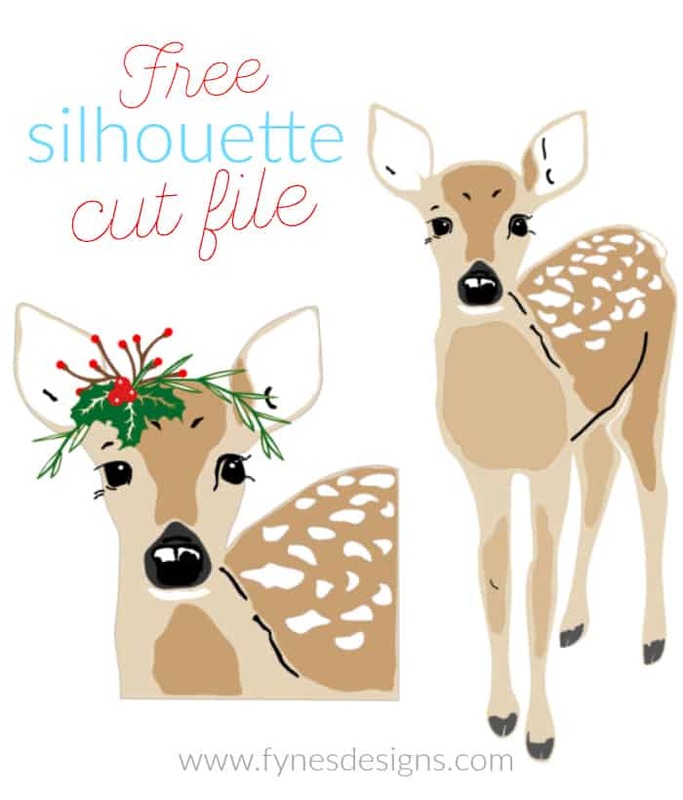 I’d love to see how you use this Christmas Fawn Free Silhouette Cut file, swing by Facebook to share a pic of what you create. Please subscribe to Fynes Designs so you never miss a free cut file! If you’re in store for some new Silhouette supplies don’t forget to use code FYNES for a sweet little discount! 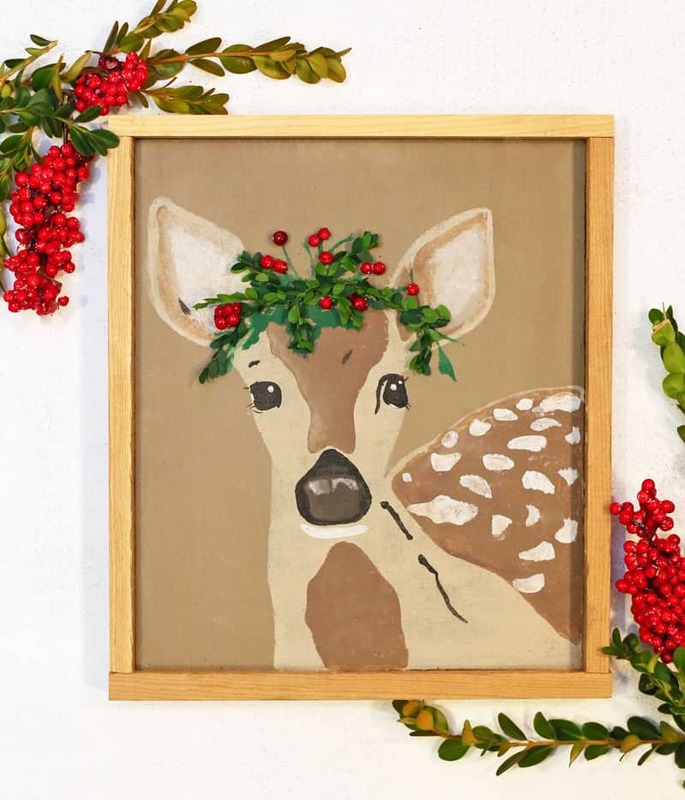 I have tried to access the free cut file of the Christmas Fawn, but Adobe cannot read/access it. What program do I need to access it? Do you have a silhouette? THis file can only be read by Silhouette studio, I’ll check the file link. This little fawn is absolutely adorable!! I love it! Unfortunately, I don’t have a silhouette. You don’t happen to have it in just a printable do you? Thanks for sharing! I love this sweet deer! Love your little fawn, turned out really cute! I like your 3D crown with the faux berries. Very cute! Oh this is so cute! Thank you so much for sharing at Turn It Up Tuesday. Look forward to seeing you again next week for another great party! Have a great weekend.